At the Surrey Federation we have a tradition of fun and friendship, with a strong network of valued friends throughout the county. We hold many different events, where members and non-members can get to know each other, and become involved in all sorts of interesting activities. How We Work is the page where you can meet members of the Board of Trustees who arrange all of these events. From our Federation Headquarters, based in new offices in Guildford, we also help and advise the WIs throughout the federation. Our office is open for three days a week and you can contact the staff during the times shown. Our WIs hold monthly meetings with speakers and demonstrations and are always happy to welcome new members.If you are thinking of joining please contact the office when you will be put in touch with a WI Adviser to help you find the one in your area which suits you best. It is an honour and privilege to be greeting you as the new Chairman of Surrey Federation of WIs. I am both excited and a little apprehensive about the prospect of leading the Federation forward. I am humbled by the opportunity and promise to carry out the role to the very best of my ability. As a former university academic and manager, education has always been central to my life. Quality, access and widening participation are at the forefront of my educational philosophy. It is not surprising therefore that on retirement I chose to join the WI, whose prime aim of course, is the education of women. During my ten years as a WI member, I have served on my local WI committee and as its President. I have chaired the Federation’s Communications and Publicity Committee, have sat on the Home Economics Committee and been its Vice Chair. In 2015 I became a Federation Trustee and subsequently a Vice Chair for three years. In addition to the WI I also have a keen interest in cookery, patchwork and embroidery, and gardening, and, of course, our growing family. 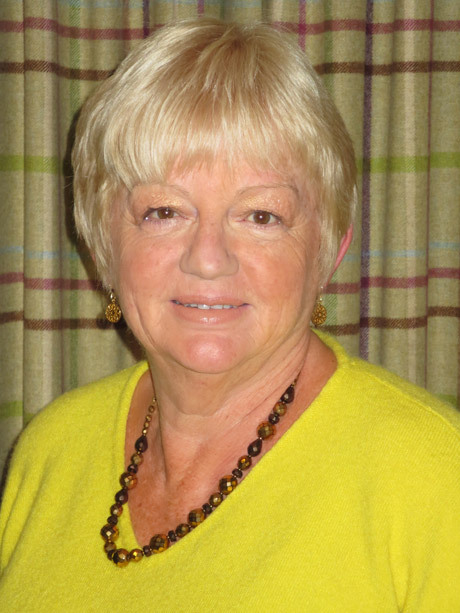 As Chairman I aspire to build on the excellent work that Jane Randell has undertaken. She will be a very hard act to follow! Firstly, I wish to rebalance our activities as a Federation and bring campaigning to the forefront. I would particularly like us to identify issues that reflect WI member’s concerns in Surrey, as well as supporting NFWI resolutions. Secondly, I would like to work towards closer relationships between Surrey Federation members. I will seek to remove the terms ‘Old’ and ‘New’ WIs, and of ‘New Wave’ WIs and the implications of this terminology. We all as individual WI members have skills and interests to share to the benefit of all. I therefore hope that there will be greater interaction between members, neighbouring WIs, Groups and the Federation. Thirdly, I would like to see SFWI as a more democratic organisation, enabling it to build on the ideas, enthusiasm and needs of members in its planning. This is where your voice is needed. As SFWI moves into its 2nd Century, it has never been more important for women’s voices to be heard, so volunteer, step up, take on a role at your local WI, or at Federation level. Together we can make a difference to the lives of all the women in our community.